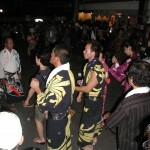 The Obon (お盆) or Bon Festival is not a public holiday as such, but some areas of Japan observe it closely. In Aichi Prefecture, where for many generations farmers have tilled the rich alluvial floodplains, Buddhism has always been very strong. It is difficult for an employer to refuse to give staff leave (exceptions being the hospitality industry etc), as family obligations have precedence. At ALC, we never schedule group classes for August 13th-15th (we can provide private lessons if requested well in advance), though field trips and tours, as well as barbeques etc continue as usual. 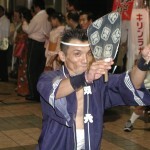 Obon is essentially a custom of honoring the spirits of ancestors. It is a Buddhist-Confucian custom. Until the Meiji period (from 1868 to 1912), most people in Japan could not move freely about the country without permission. Pilgrimage was one of the few ways of leaving your village. However as the country modernized, and urbanization accelerated, many people became separated from their ancestral villages. Obon has gradually evolved into a sort of family reunion. Visiting and cleaning ancestral graves, and visiting the family altar, where the ancestors are believed to return each year at this time. It isn’t just a religious festival, but a social one. 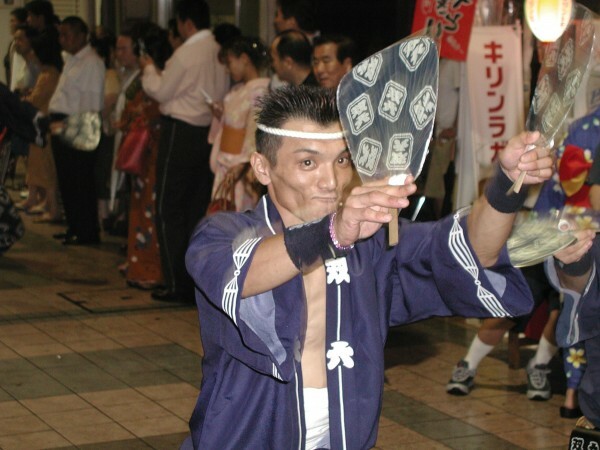 In mountain villages such as Shokawa in Gifu prefecture, the “Coming of Age Day”（成人の日） is held during Obon instead of January, as it is the one time when the 20 year old youth are able to visit, having left the village for education or work. Not all people return to their ancestral village. 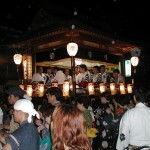 Obon (like Golden Week) is an opportunity to travel abroad or to more distant parts of Japan. So flights and hotels etc need to be booked well in advance. 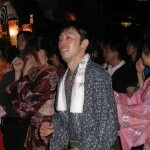 In addition to ceremonies and family and community reunions, there are often fireworks, dancing and parties. 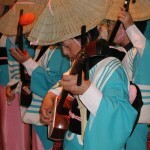 The Bon dancing varies from place to place. 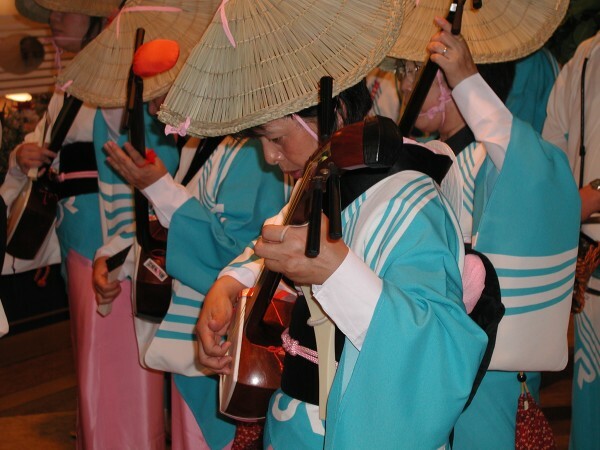 In eastern Shikoku, the city of Tokushima is famous for the Awa-Odori, and the festival is spectacular (as are the traffic jams that stretch all the way to Osaka). 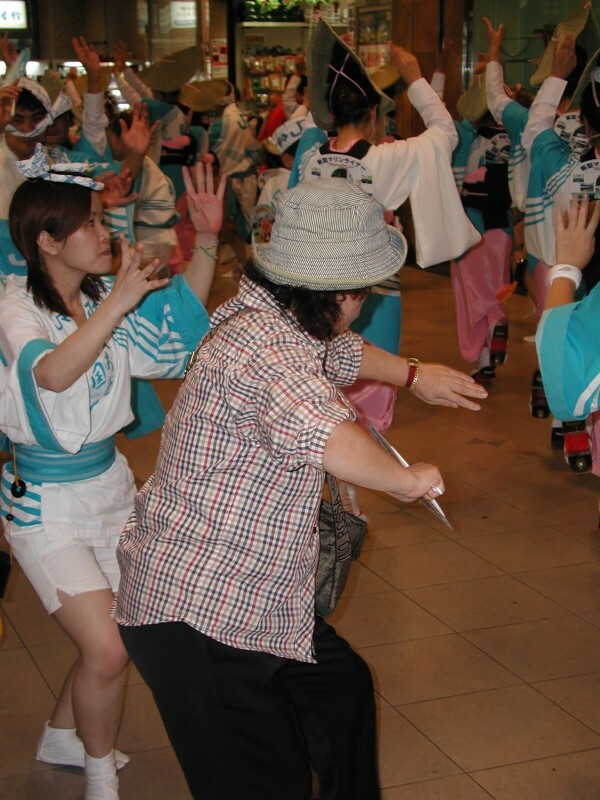 A large number of people who grew up in Tokushima but now live in Tokyo, celebrate each summer with an Awa-Odori. 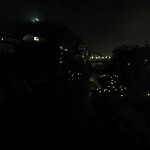 In the small town of Gujo Hachiman in Gifu Prefecture, a beautiful mountain town with underground waterfalls and fantastic food, the custom is to dance all night, with the streets full of people (locals and visitors, anyone can join in) following a circuitous route. 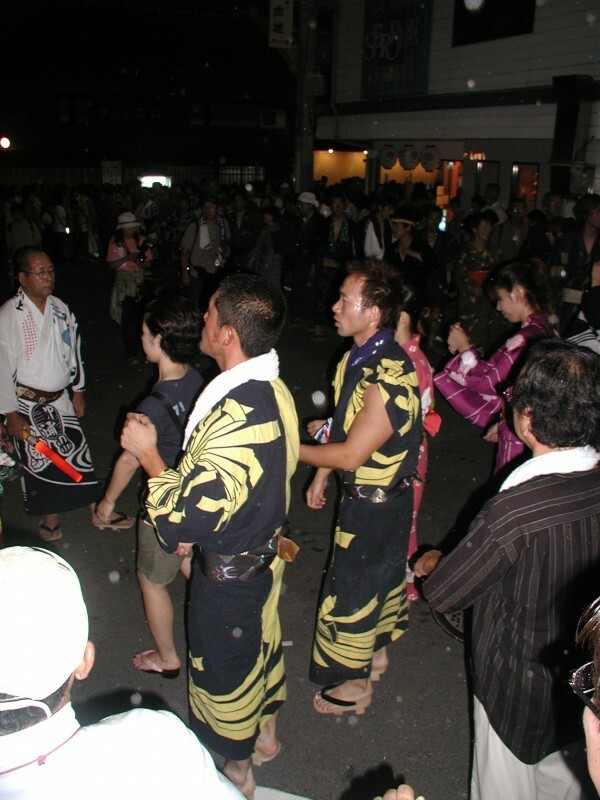 It is a good time to wear a yukata (not compulsory), enjoy the food available at street stalls, cold beer, watch fireworks, and to participate in old customs such as Toro Nagashi.